Eating yogurt twice a day can relieve anxiety and stress. 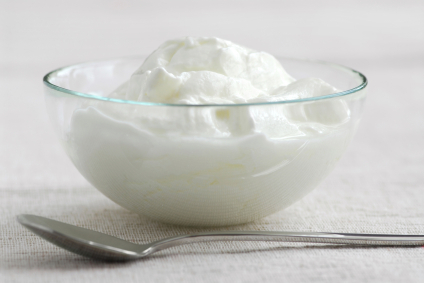 New research shows that yogurt can reduce activity in brain regions associated with emotion. Researchers from the UCLA School of Medicine in the United States make the observation of 36 women. The study suggests that eating yogurt twice a day can lower the activity of the brain associated with emotions, and enhance brain activity related to decision-making. according to lead researcher, Dr. Kirsten Tillisch, many people who eat yogurt for a snack or to get calcium. We think it's just the health benefits of yogurt. In fact, yogurt can also affect the brain. In research, participants aged 18-53 years were divided into three groups. One group ate yogurt with live bacteria, other groups consume dairy products without bacteria, and group three was given any product. The research was carried out for four weeks with fMRI examinations of the brain to recognize emotions. As a result, research showed that compared to women who did not eat yogurt with live bacteria, participants who consumed probiotic yogurt decreased activity in the parts of the brain associated with emotions, and body sensations associated with bacteria in the digestive system.